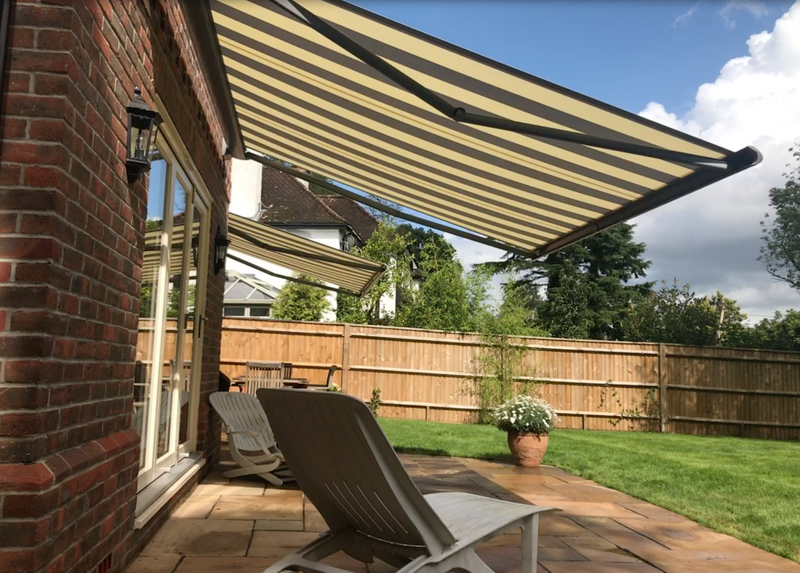 We have just installed two Weinor Cassita full cassette patio awnings to this exceptional property in Ampfield, Romsey. Our client choose the slimline cassette system of the Cassita, without a valance, to highlight the stunning design of this awning. The lovely striped fabric matches the doors and windows perfectly. Weinor electric awning arms have a 10 year warranty and we also offer a 5 year warranty on the motor. Call us now on 02381 290170 for a free quote.